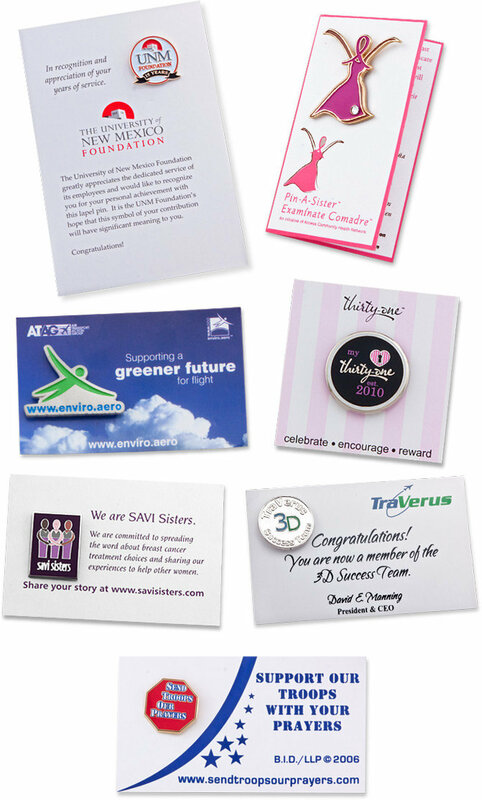 Custom Cardstock is available in any size, shape and color and makes a nice presentation option for showing off your lapel pin. It is also a great way to get your message across. Please ask your salesperson for details.